Jane Eliza Myers was my maternal second great grandmother and part of my Pennsylvania connections (I'm not all southern). I previously wrote about her in Jane Eliza Myers - A California Gold Rush Widow. I've been on the hunt for her parents and siblings off and on for a while. Jane was born on June 14, 1818, in Philadelphia, Pennsylvania. 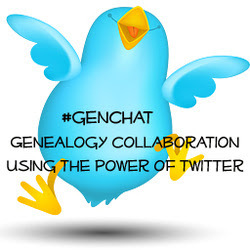 She was married to my second great grandfather John Adam Redles whose father, Johann Adam Rodelsperger, was a fairly recent (1802) immigrant to America from Germany (in comparison to other branches of my family). Jane and John had seven children: Charles Davidson (1841-1854), George Albert (1843-1912, my great grandfather), Sarah Sallie (1844-1921), Joseph Wade (1848-1851), John A. (1851-? ), Clarence (1855-1859), and Harry (1856-?). While I don't have death dates for John A. and Harry, they are both in the 1920 U.S. census for Philadelphia. Three of Jane's children didn't make it to adulthood. 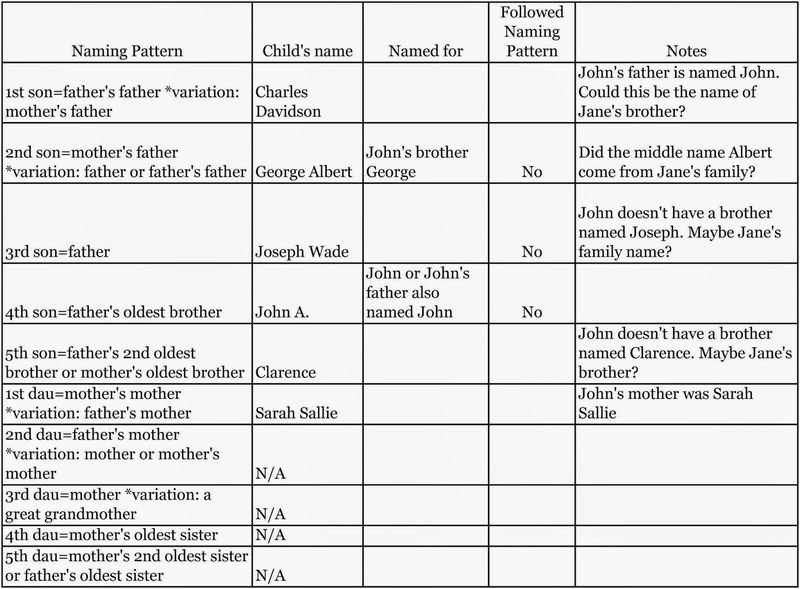 I've made a list of the naming patterns of Jane and John's children for clues to Jane's parents and siblings, but I haven't done any research yet. Since I don't know anything about Jane's ancestry, I used English naming patterns (although, she could be of German or Irish descent). Then I used German naming patterns, since John's father was a German immigrant. 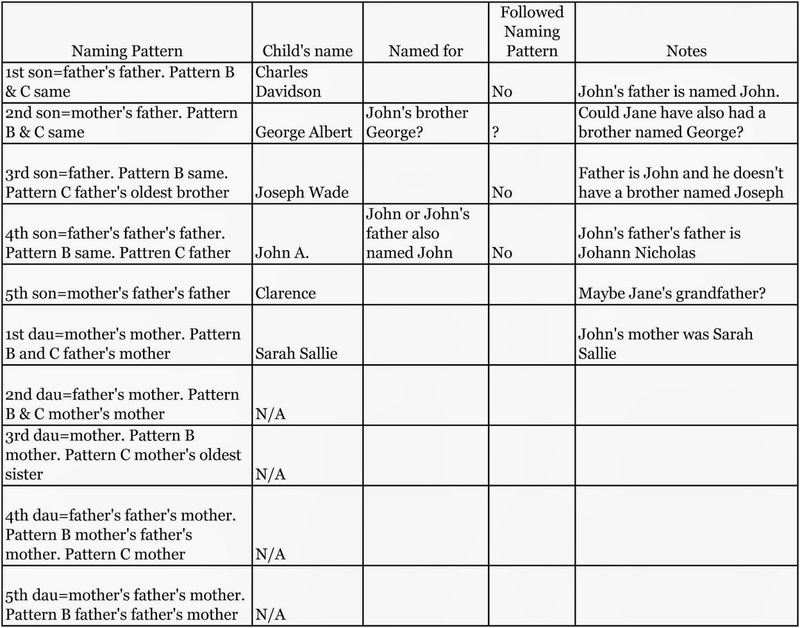 I based my lists on some I found at Rootsweb, USGenWeb.com, and a link via an About.com genealogy article to Charles F. Kerchner, Jr.'s website about Pennsylvania German naming patterns. Now I need to do the actual research! Jane outlived her husband John by five years. She died on November 14, 1885, at the age of 67 in Philadelphia and is buried at Gloria Dei (Old Swedes) Church.